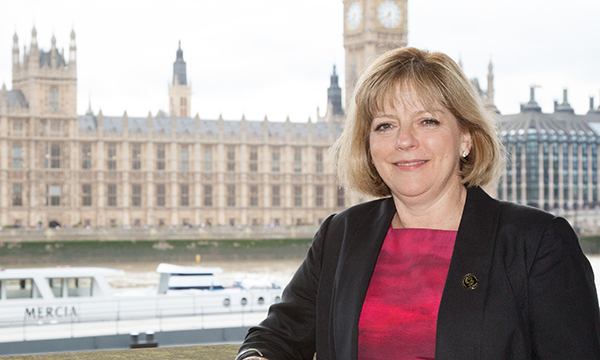 After six years as chief nursing officer for England, Jane Cummings is stepping down. 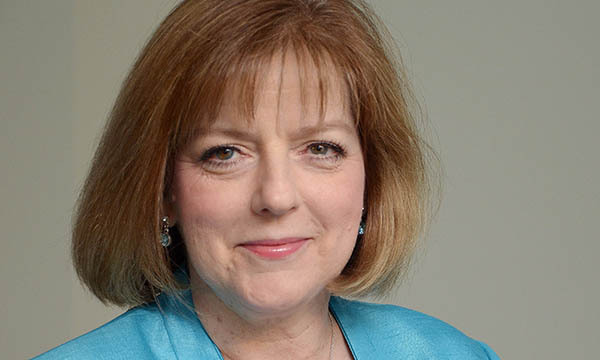 Her time in the post has coincided with arguably the most difficult period in the history of the NHS: escalating demand clashing with tightly controlled (many would say woefully inadequate) funding and unprecedented scrutiny of services in the wake of the Francis report into the Mid Staffordshire scandal. Not a single bit of progress can have come easily to this CNO. Yet she insists there has been progress. ‘The biggest challenge has been wanting to do more but not being able to because of significant financial pressures and increasing demand,’ she says. ‘I haven’t been able to access lots of money to do all the nice things I wanted to do. Incentivising people to do things, without lots of money, has been quite a challenge. When I ask her what the highlight has been, she doesn’t hesitate. ‘Compassion in Practice [the nursing strategy] and the 6Cs, which I developed in 2012, are the things most people associate with me. I wanted to be on the front foot before the Francis report came out. It was clear that nursing was going to be criticised and of course it was. ‘It was also clear that nurses felt quite got at, there was a lot of negative media coverage about nursing being uncaring. Despite the very real pressures on nurses in understaffed services, they are not, she believes, in the beleaguered state they were around the time the Francis report came out in early 2013. She says the latest NHS patient satisfaction survey was positive and nurses are the most trusted healthcare profession. The importance of the nursing workforce has been accepted and nursing shortages on hospital wards are highlighted, when not so long ago they would have been glossed over. We met just after the prime minister announced a funding deal for the NHS that will see its annual budget increase by an average of 3.4% over the next five years, £20.5 billion by 2023. This five-year commitment by the government will, she is confident, put the NHS on a surer footing. ‘It will help us look at the next five years with certainty – and help us develop a long-term plan for improvement,’ she says. Professor Cummings has announced her departure now because ‘it is time for someone else to pick up that challenge. In terms of the new strategy, having someone who can commit for two to three years is important’. 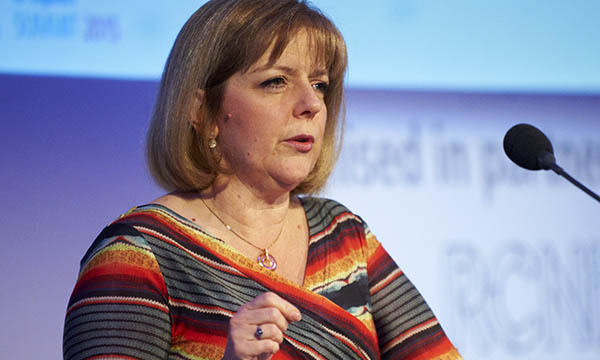 Another factor is the alignment between NHS Improvement and NHS England, which will mean one chief nurse leading an integrated nursing team – a change she welcomes. She cites the Commonwealth Fund report last summer, a comparison of healthcare systems in 11 wealthy countries, which highlighted the NHS’s efficiency and gave it an overall top ranking. However, on outcomes the UK was rated second from last – only above the US. Professor Cummings believes that there are risks in defending the NHS and nursing by constantly dwelling on crisis. ‘Yes, the pressures are huge, and we have a global shortage of nurses – when you look at the Nursing Now campaign it is very clear that this is not just happening in the UK or in England. She gives the example of the PJ Paralysis campaign, which she launched in March, potentially having an impact on delayed discharge. ‘About 50% of the delays are down to the NHS, not local authorities, but there are things we can do. Professor Cummings gives the impression that she is looking forward to her final five months in post, because she will be focusing on two things she feels passionately about – the first national recruitment campaign for nurses, to launch on 3 July, and a programme to improve the image or perception of nursing in the NHS. The launches have been timed to coincide with the NHS 70 celebrations. The recruitment campaign – which will include TV ads and coverage in mainstream media and social media – will emphasise the breadth of nursing, that it is not just about working in a hospital. It will also point out that pay and conditions are better than people often imagine to be the case. Six hundred ambassadors will work on the campaign, and Professor Cummings will also have the support of nurse author, and keynote speaker at this year’s RCN congress, Christie Watson. Alongside the campaign will be work with employers. ‘The NHS needs to be a much more flexible employer. If you talk to newly qualified nurses they want to work much more flexibly. So we will hear from her again? ‘I’m sure you will, I’m too passionate about the NHS not to do something,’ she says. But will the NHS still be around in another 70 years? She laughs at the question - the idea that the NHS is so vulnerable it is on the brink of collapse, or that this government is not committed to its future, strikes her as ludicrous. Ultimately, however, she sees it as an institution beyond politics.